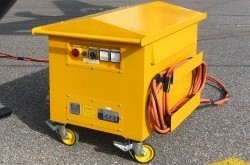 Providing power products for Airport / Aerospace / Aviation applications for 25+ years. 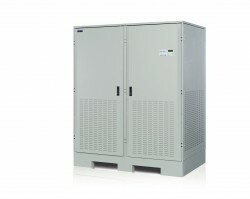 Our range includes 400Hz (GSE) Frequency Converters and Ground Power Units, 50Hz to 60Hz Converters, DC Helicopter Engine Starting and Battery Chargers, Industrial UPS Systems, Aircraft Power Connectors, Cables and stowage systems. 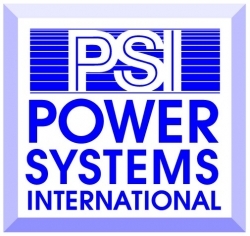 Power Systems International’s solid-state industrial frequency converters are designed for fixed installation in military or civil aviation repair workshops, maintenance hangars and simulator centres. 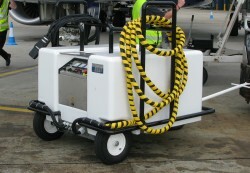 The rugged all weather versions are supplied for point-of-use aircraft ground power applications on the apron or aircraft parking position. They can be supplied in a horizontal form for mounting under passenger loading bridges, to provide a simple and cost effective point-of-use location for connecting to the aircraft. The converters can also be mounted on stands or fixed to a towable mobile chassis to provide maximum flexibility for fixed or mobile use. These point-of-use converters only require normal 50Hz or 60Hz mains cables to the input. This prevents the need for airfield-wide 400Hz cables from a continuous centralised system with step down transformers and line drop compensators. Unlike the diesel engine driven GPUs, there is no engine noise, exhaust fumes, fuel storage or fuel spillage risk. The cost of the aircraft running its APU is also removed. Our single-module 400Hz frequency converters are similarly cost-effective and flexible, providing a compact solution that is simple to connect to normally available mains sources, without the need for pits or other apron cable duct excavation work. We also supply 50Hz – 60Hz Frequency Converters. Our industrial UPS systems are: supplied to military locations and civil airports, providing absolutely reliable and secure power for navigation aids, air traffic control systems, early warning, primary and secondary radar, passenger check-in computers, emergency lighting, baggage handling computers, security and intruder surveillance systems, anti-terrorist scanning equipment, runway lighting, public address systems, flight information displays and automated people movers and emergency evacuation lifts. We supply DC systems for helicopter engine starting, battery charging duty in maintenance hangars, repair workshops, aprons and for offshore helipad landing platforms. Power Systems International supplies fully prepared 400Hz cable harnesses using twisted flexible cables with control wires and fitted with an aircraft power connector, which can be delivered with an optional feature allowing remote control of the frequency converter output. 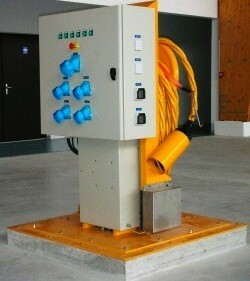 Fully prepared flexible cable harnesses are also available for 28VDC for engine starting and battery charging. These harnesses are also provided with a standard aircraft connector with or without the remote control feature. The cables supplied by Power Systems International are made from the highest quality materials and are designed to maintain their flexibility in sub-zero temperatures and in the intense heat of summer at Middle Eastern airports and military airfields.